September 20, 2012, Gallatin, MO – WideBand Corporation announced today that it has selected GoldKey’s authentication and encryption solutions to protect data center hosting services offered by WideBand Corporation. Customers accessing data storage and servers hosted by WideBand will be required to authenticate with a GoldKey Security Token. WideBand’s state-of-the-art, high-security data center is located in a one million square foot underground facility near Kansas City, Missouri. 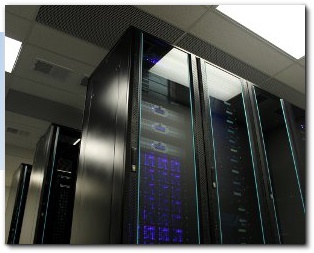 The data center was built to accommodate stringent uptime and minimal latency requirements of customers with highly sensitive and mission critical data. To meet these demands, WideBand designed its data center services to be the most secure, most reliable, and best performing “High-Security” data storage service possible. Data stored within WideBand’s data center 100% encrypted, all of the time, and at rest. By utilizing GoldKey advanced authentication, data is encrypted automatically before being transferred to the data center using AES strong encryption. WideBand maintains a staff of GoldKey Security experts who are available to assist customers in setting up securely hosted storage and to resolve issues and vulnerabilities that may develop from time to time. For security reasons, no customer access is granted to the secure facility. No outside equipment is allowed into the security perimeter. Every customer is provided dedicated storage hardware provided by WideBand. WideBand Corporation is the leading US based manufacturer of high performance, low latency network solutions. WideBand Corporation is the industry leader in the emerging technology of nano-latency networking and holds two foundation patents. WideBand Low Latency Networking (WLLN) is setting a new standard in Nano-latency data communications and enabling response times heretofore unprecedented in the industry. In addition, WideBand provides data center services targeted at customers with stringent uptime requirements who demand minimal network latency. Customers include the Fortune 500, the US Military, Universities, and many others. GoldKey Security Corporation is the leading provider of enhanced two-factor authentication that protects sensitive data and resources for government, financial, and other organizations with its hardware and software tokens. Deployed by customers in over 40 countries, GoldKey’s security tokens allow shared access to encrypted files and secure login to online resources. A Midwest USA-based, family-owned company, GoldKey provides an innovative alternative to less secure login methods with its patent-pending technology that puts control of access in the hands of its users.